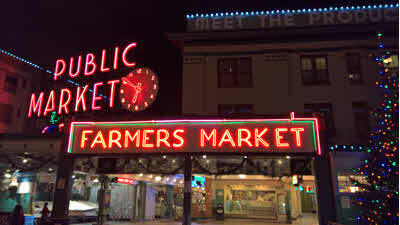 The famous Pike Place Market is arguably the heart of Seattle and the city's top tourist destinations. The market still remains pretty authentic to this day with locally owned shops selling everything from produce to clothing located throughout the market. Musicians and restaurants can be found throughout, and the market hosts a number of special events throughout the year. It's definitely worth visiting!